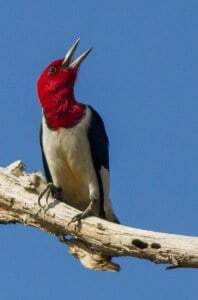 According to the 2016 IUCN Red List, 1,029 of the world’s 10,965 extant bird species are “Near Threatened (NT)“. A “Near Threatened” species is close to qualifying for a threatened category in the near future. 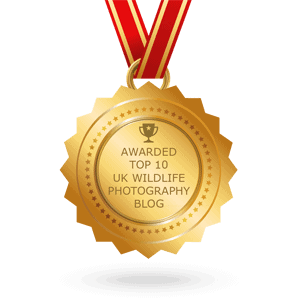 The photographs of the “Near Threatened” species below have been archived by our Species Champions. 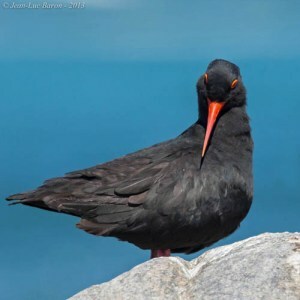 Haematopus moquini has a coastal breeding range which stretches from Lüderitz, Namibia, to Mazeppa Bay, Eastern Cape, South Africa. The total population is estimated to number 5,000-6,000 individuals (T. Dodman in litt. 2002 to Wetlands International 2002), with about half occurring along the Western Cape (South Africa) coastline, half of these on its near-shore islands. This species is listed as Near Threatened owing to its moderately small population. If the population was found to be small and experiencing an ongoing decline, the species may qualify for a higher threat category. There are 7,000-13,000 in West and Central Africa and 8,000-12,000 in East Africa and South Africa (T. Dodman in litt. 2002), giving a total of 15,000-25,000 individuals, roughly equivalent to 10,000-17,000 mature individuals. The population is suspected to be in decline owing to wetland habitat degradation, over-exploitation and human disturbance. Menura alberti is confined to a relatively small area of rainforest between Blackwall Range, New South Wales, and Mistake Range, Queensland, Australia. 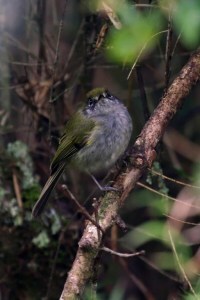 New South Wales is thought to support less than 800 pairs, with highest densities at Whian Whian State Conservation Area in Nightcap Range.This species is listed as Near Threatened as although it is restricted to a small range and number of locations and the number of individuals is small, favourable management (including protection of the most important population) has meant that habitat quality and numbers are not thought to be declining. Regular monitoring of both species and habitat is needed to confirm the continuing effectiveness of this management. Psittacula eupatria is widespread in South and South-East Asia, ranging from Pakistan, India, Sri Lanka, Nepal, Bhutan and Bangladesh, Myanmar, Thailand, Laos, Cambodia and southern Vietnam. This species has been uplisted from Least Concern on the basis of new information about its population trend. It is listed as Near Threatened because, although it remains common in some areas and the status is clouded by feral populations, it is suspected to be undergoing a moderately rapid population decline owing to on-going habitat loss, persecution and trapping pressure. Ardeotis arabs occurs in Mauritania, Senegal, Gambia, Mali, Burkina Faso, Niger, Nigeria, Chad, Sudan, South Sudan, Kenya, Eritrea, Ethiopia, Djibouti, Somalia, Saudi Arabia and Yemen.This species has been uplisted to Near Threatened on the basis that it is suspected to be undergoing a moderately rapid decline owing primarily to hunting pressure and habitat degradation. Rhynchostruthus percivali occurs in Saudi Arabia, Oman and Yemen. 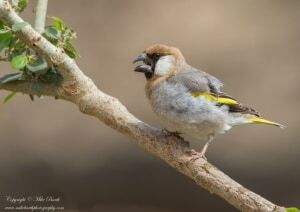 It is generally scarce and difficult to locate even at known sites with an approximate population estimate of c.3,000 pairs in Saudi Arabia, Oman and Yemen. This species has been classfied as Near Threatened owing to its moderately small and potentially declining population. 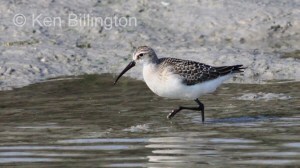 The Asian Dowitcher is the largest dowitcher in Asia and is facing threats due to habitat loss, pollution and climate change across its narrow range but particularly in its wintering grounds. They breed in eastern Russia as well as northern Mongolia and China. They migrate along the East Asian coast to wintering grounds in southeast Asia, with some traveling all the way to the northern coast of Australia. 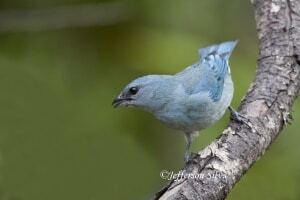 The Azure-shouldered Tanager is a species from the Thraupidae family.It can be found only in Brazil, on the east side, mostly on the coastal slopes of the Serra do Mar. 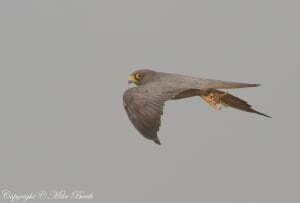 This species has an extremely large range and consists of several subpopulations using different flyways. The lapponica subspecies which breeds and winters within Europe is thought to be experiencing an increase in the wintering population but the breeding trend is unknown. 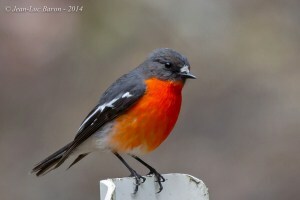 Of the taymyrensis subspecies which breeds in Siberia the population wintering in west and south-west Africa is estimated to be declining whilst the trend for the population wintering in south and south-west Asia and east Africa is not known. 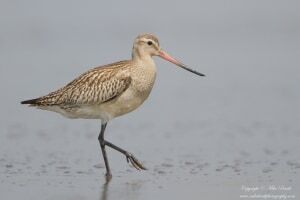 Two subspecies, menzbieri and baueri, use the East Asian-Australasian Flyway and are both undergoing extremely rapid declines, probably owing to severe habitat loss in the Yellow Sea. As a result of severe declines in populations using the East Asian-Australasian Flyway the species has been uplisted to Near Threatened. This species is classified as Near Threatened because it is suspected to have undergone moderately rapid declines during the past three generations (41 years) owing to habitat loss and incidental poisoning and pollution, and is consequently believed to approach the threshold for classification as Vulnerable. Putative reasons for declines vary, but include poisoned baits, pesticides, trapping for international trade, nest disturbance from spreading human settlements, and increased intensification and degradation of agricultural land (Ferguson-Lees and Christie 2001, N. Baker in litt. 2005, S. Thomsett in litt. 2005). The major cause of the decline seems to be almost entirely poisoning by a few large-scale commercial farmers, but poisoning is also a problem in tribal small-stock farming communities. This species is widely and disjunctly distributed across the Palearctic, Afrotropical and Indomalayan regions, but is very rare in some areas and thought to be in decline overall (Ferguson- Lees and Christie 2001). This species has been uplisted to Near Threatened owing to evidence that is has undergone a moderately rapid population decline over the past three generations. The Bicolored Conebill (Conirostrum bicolor) is a small passerine bird. 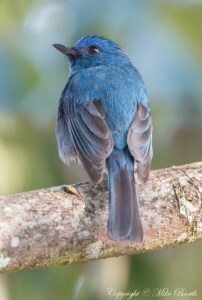 This member of the tanager family is a resident breeder in South America from Colombia, Venezuela and Trinidad south and east to the Guianas, northeast Peru and Brazil.Its habitat is coastal mangrove swamps and neighbouring woodlands.Based on a model of future deforestation in the Amazon basin, it is suspected that the population of this species will decline by 25-30% over the next three generations.The Bicolored Conebill is 11.4 cm long and weighs 11 g. The adult is grey-blue above and buff-tinged grey below, with red eyes, pink legs and a sharp, pointed bill. 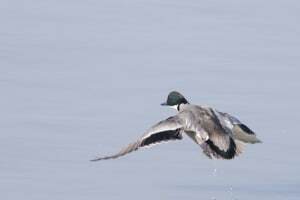 The primary flight feathers are bluish with brown edgings. 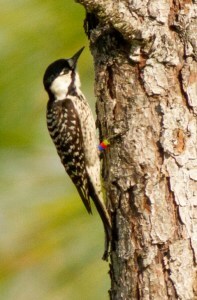 The sexes are similar, although the female may be a little duller, but immature birds are greenish above and have pale yellow underparts. Thalassarche melanophris has a circumpolar distribution ranging from subtropical to polar waters, breeding in the Falkland Islands, Chile, South Georgia, Crozet and Kerguelen Islands, Heard and McDonald Islands and Macquarie Island (Australia), and Campbell and Antipodes Islands, New Zealand. This species has been downlisted to Near Threatened as it is no longer estimated to be undergoing very rapid population declines. This species occurs in Japan, China, Hong Kong, Pakistan, Nepal, Sri Lanka, Bangladesh, Philippines, Myanmar, Thailand, Laos, Vietnam, Cambodia, Peninsular Malaysia and Indonesia. It faces the full gambit of threats, from hunting and disturbance at breeding colonies to drainage and conversion of foraging habitats to agriculture and is consequently qualifies as Near Threatened. It is known that the Asian population has declined and, whilst the timing of this decline is not known, much of it is likely to have occurred during the last 60 years. Trends in Australia have not been properly evaluated; however, this population appears relatively stable. The overall population is estimated to be declining at a slow to moderate rate. Although this species is widespread and has a large global population, its numbers have declined rapidly in parts of its range owing to changes in agricultural practices. 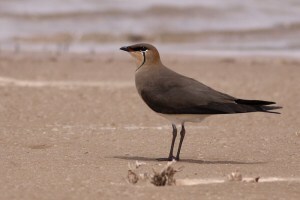 Overall, the global population is estimated to be declining at such a rate that the species qualifies as Near Threatened.All of the images by Mike Pope in this gallery were taken in Kuwait. This large sea duck is facing threats from a number of sources, but mainly from pollution and impact from oil spills, drilling and exploration. 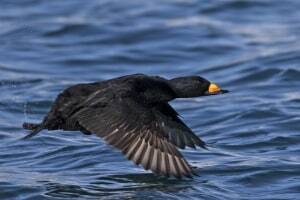 Like many species that congregate in large flocks in winter, the Black Scoter is also quite vulnerable to disease. 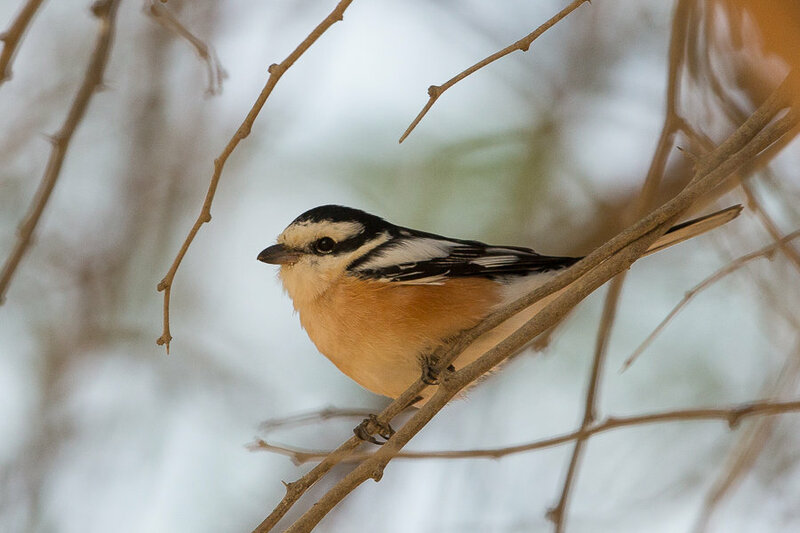 Although difficult to classify, the evidence of declines in Europe, West Africa and Central Asia indicate that this species has experienced moderately rapid overall declines, and thus warrants Near Threatened status.All of the images by Mike Pope in this gallery were taken in Kuwait. This poorly known migratory species is classified as Near Threatened because its moderately small population is suspected to be declining as a result of the conversion and degradation of its habitats. 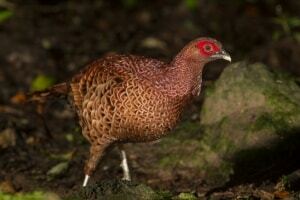 The Copper Pheasant is an endemic Japanese species and found only in mountainous terrain with plenty of leaf litter. There are several sub-species, each with their own special identification marks and territorial ranges. 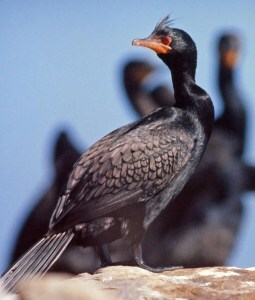 Phalacrocorax coronatus is restricted to the west coast of southern Africa, breeding at 48 localities from Walvis Bay in Namibia to Cape Agulhas in South Africa. During 1977-1981, the population was estimated to be 2,665 breeding pairs. The most recent estimate is of 8,700 individuals (du Toit et al. 2002). 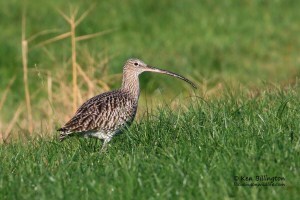 The Eurasian Curlew, Numenius arquata, is a wader in the large family Scolopacidae. 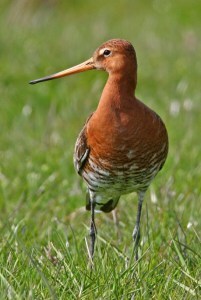 It is the one of the most widespread of the curlews, breeding across temperate Europe and Asia. 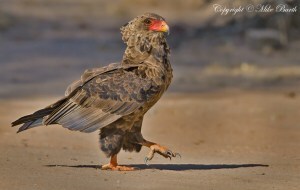 This is a migratory species over most of its range, wintering in Africa, southern Europe and south Asia. Occasionally, a vagrant individual reaches places far away from its normal range, such as Nova Scotia or the Marianas. It is present all year in the milder climate of Ireland, Great Britain and the adjacent European coasts. This species has been uplisted to Near Threatened owing to a global population decline which is thought to approach the threshold for Vulnerable under the population size reduction criterion (A4abc). The species has an extremely large range and the overall population trend is very difficult to determine due to varying trends in different populations along different flyways. The population using the East Asian-Australasian Flyway is thought to be experiencing severe declines due to habitat loss in the Yellow Sea. Should new information arise providing clarification on the overall population trend it may warrant uplisting or downlisting. The Common Eider, Somateria mollissima, is a large sea-duck, which is distributed over the northern coasts of Europe, North America and eastern Siberia. It breeds in Arctic and some northern temperate regions, but winters somewhat farther south in temperate zones, when it can form large flocks on coastal waters. 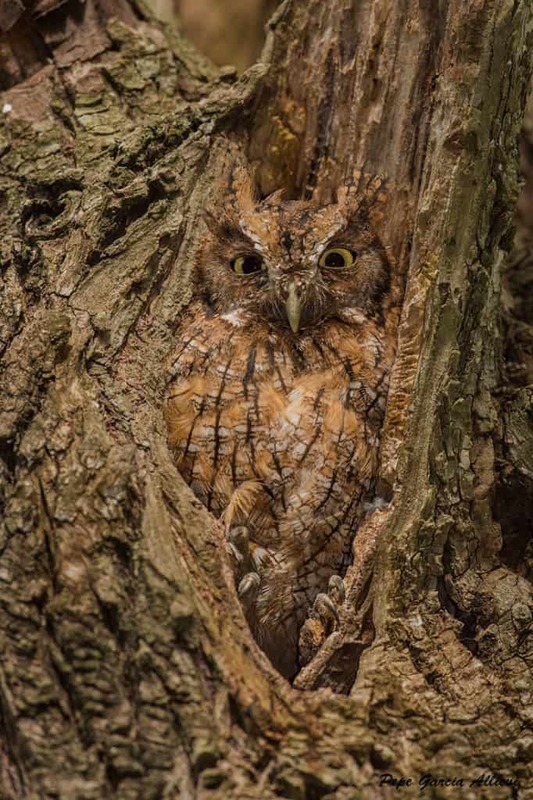 It is abundant, with populations of about 1.5-2 million birds in both North America and Europe, and also large but unknown numbers in eastern Siberia. 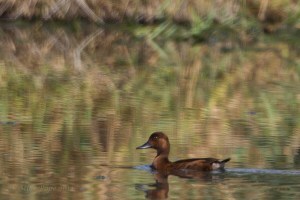 Although the population of this lovely duck is quite large, it faces considerable threat from hunting throughout its range, particularly in China. It breeds in the Russian Far East, extreme north Mongolia, China and Korea, and also in the northern half of Japan. It winters south to southern Japan, China and northern Thailand, Laos and Vietnam across to northern India and the southern Himalayan foothills. Given that this species's range may fluctuate considerably from year to year - particularly in Asia - owing to changing water levels, it is very hard to estimate the global population or trends. There have been rapid declines in Europe, but evidence of declines in the larger Asian populations is sparse, and sometimes contradictory, so it is currently listed as Near Threatened. 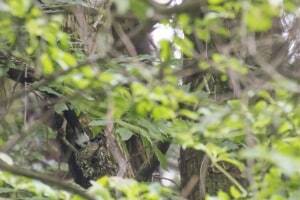 Evidence of rapid declines in Asia would qualify the species for up-listing to Vulnerable. 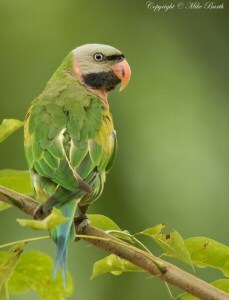 It was the most commonly traded wild bird in the world in 1987 and was the most popular wild-caught parrot imported into the then European Economic Community, accounting for c.80% of the Psittacine exports from Tanzania (RSPB 1991). Legal trapping for export has now been halted, but the population is still much lower than it was, and trade could re-start (Moyer 1995). 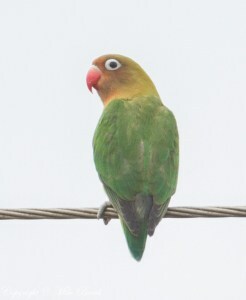 The species has hybridised with Yellow-collared Lovebird A. personata in the wild, but not within the species's natural range (there is range overlap but A. fischeri appears to be a non-breeding visitor to A. personata habitat [N. Baker in litt. 1999, Morton and Bhatia 1992]) so this is unlikely to pose a threat. Petroica phoenicea occurs in upland areas of south-east continental Australia and in Tasmania. It breeds throughout Tasmania, on Bass Strait islands and the high country of southern and north-eastern Victoria and along the Great Dividing Range in eastern New South Wales and south-eastern Queenland, as far north as 30oS.This species has experienced a moderately rapid population decline, and is therefore classified as Near Threatened. 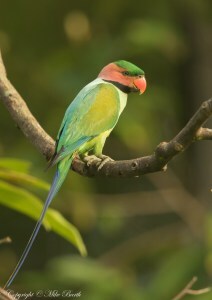 The Golden-capped Parakeet is a bird from the Psittacidae family. It is found only in Brazil, from Bahia state to the north of Parana. Esacus recurvirostris occurs across a wide range in southern Asia, being found in Iran, Pakistan, India, Sri Lanka, Nepal, Bhutan, Bangladesh, Myanmar, Thailand, Laos, Cambodia, Vietnam and southern China. This species has been uplisted to Near Threatened on the basis that it is expected to undergo a moderately rapid population decline over the next three generations owing to human pressures on riverine ecosystems and the construction of dams. 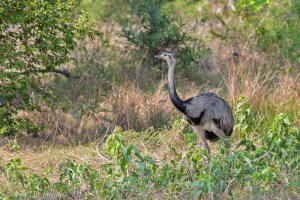 Rhea americana has a large range in north-east and south-east Brazil, east Bolivia, Paraguay, Uruguay and north-east and east Argentina. 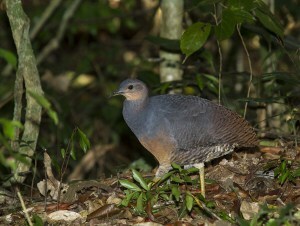 This species qualifies as Near Threatened as its population is believed to have declined at a rate approaching the threshold for classification as Vulnerable. Icthyophagus icthyaetus occurs in India, Nepal, Sri Lanka, Bangladesh, Myanmar, Philippines, Thailand, Laos, Vietnam, Cambodia, East Malaysia, Singapore, Brunei, Indonesia and now very rare in Java. 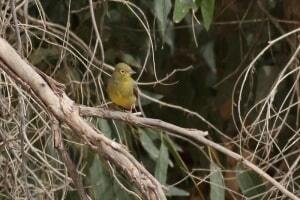 Although widespread, this species has a moderately small population and is therefore classified as Near Threatened. Tringa brevipes breeds in north-central and north-eastern Siberia in the Putorana mountains, from the Verkhoyansk mountains and Transbaikalia east to Anadyrland, and probably in Kamchatka and the North Kuril Islands, Russia, and winters in Taiwan, southern Thailand, Malaysia and the Philippines, through Indonesia, Papua New Guinea and Solomon Islands to Australia, with a few reaching New Zealand, Fiji and Tuvalu (del Hoyo et al. 1996). The global population was estimated to number c.44,000 individuals in 2007-2009 (Wetlands International 2014). Overall the species is suspected to be in moderately rapid decline based on regional survey data and knowledge of threats. 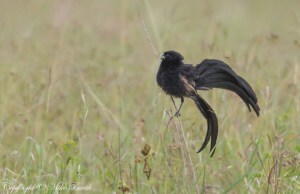 This species is listed as Near Threatened because it is expected to experience a moderately rapid population decline during the next ten years, owing to the conversion and degradation of its grassland habitat. The species might qualify for a higher threat category if it is found that its population is undergoing at least a rapid population decline. This and other restricted-range species of the grasslands of the Kenyan highlands are threatened by destruction and fragmentation of montane grasslands, as a result of intensified agricultural development and livestock production (Lens et al. 1996). Fires, started by pastoralists to control ticks, are common in the dry season (between September and November), and temporarily destroy most suitable habitat (M. Msuha in litt. 1998). Montane grasslands are poorly covered by the protected area system in Kenya (Lens et al. 1996). The Japanese (or Black) Paradise Flycatcher is a magnificent bird, particularly the male with its extremely long tail. They breed only in dense humid forests in mountains in Japan, Korea and Taiwan, then winter to southeast Asia. They are threatened mainly due to habitat loss. 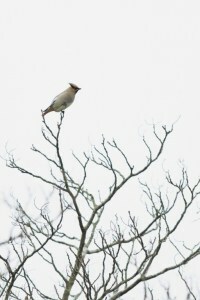 This lovely little waxwing is distinguished from the more common and range-overlapping Bohemian Waxwing chiefly by the red-tipped tail (Bohemian is yellow-tipped). It is a poorly researched and studied species, as it occupies only a very narrow range. It breeds only in the southern Russian Far East, and winters in Japan, Korea, China and the norther part of Taiwan. 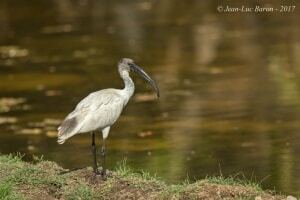 Its threatened status is due to its seemingly small population and restricted range. 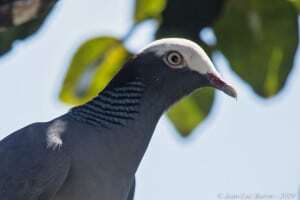 The Japanese (or Black) Wood Pigeon is a species that only inhabits offshore islands or rocky forested headlands. It is usually very shy and keeps to dark forests. There are several subspecies, some of which are critically endangered. They are quite susceptible to any kind of disturbance and also pressures from other pigeons and doves that compete in their niche. This species is listed as Near Threatened because it is suspected to have a moderately small range. If this was found to be in decline or smaller than suspected, the species may qualify for uplisting to a higher threat category. 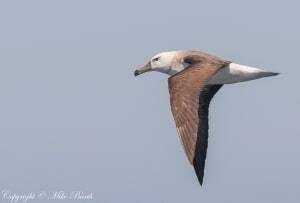 It frequents open sea all-year-round, only approaching land during the breeding season, at dusk and after dark. 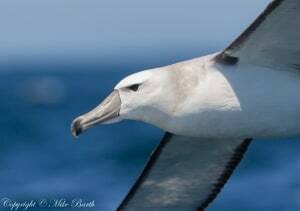 Its foraging areas are poorly known, but presumably related to highly productive areas of oceanic upwelling. It flies low, taking food from the surface of sea, probably mainly plankton e.g. fish eggs, ctenophores and polychaete worms). 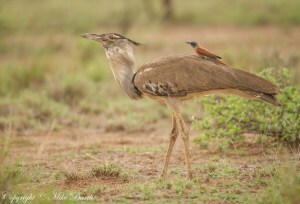 This species has an extremely large but disjunct range in sub-Saharan Africa. 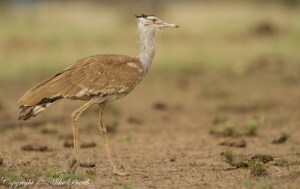 occurring from Ethiopia and Somalia south to Tanzania, and from southern Angola and Zimbabwe south to South Africa.This huge African bustard is suspected to be undergoing moderately rapid population declines across much of its range owing to a variety of threats including collisions with power lines, hunting and habitat degradation. It has consequently been uplisted to Near Threatened. 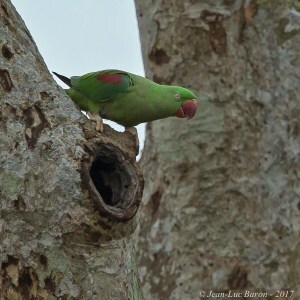 Psittacula longicauda occurs in the Andaman and Nicobar islands, India, Coco islands, Myanmar, peninsular Thailand, Sabah, Sarawak and Peninsular Malaysia, Singapore, Kalimantan, Sumatra, Indonesia and Brunei. 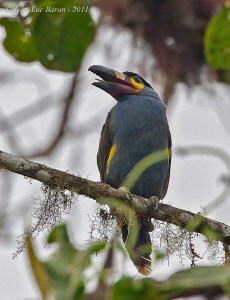 This forest-associated species occurs in the Sundaic lowlands where deforestation has been widespread in the recent past. It is consequently considered Near Threatened, because it is assumed to have experienced moderately rapid declines. The Maccoa Duck (Oxyura maccoa) is a small, long African stiff-tailed duck. 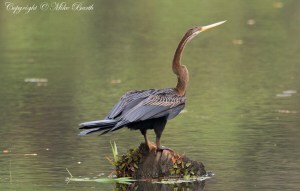 Adult males have a chestnut body, a blue bill and a black head. 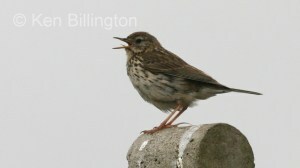 Adult females have a grey-brown body, with a dark grey bill and a dark brown crown, nape and cheek stripe. 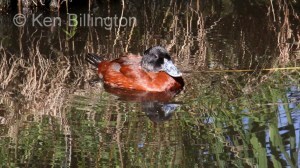 This duck breeds in two main areas: eastern Africa from Sudan and Ethiopia to Tanzania and west to eastern Zaire, and southern Africa from Zimbabwe to Cape Province, South Africa. 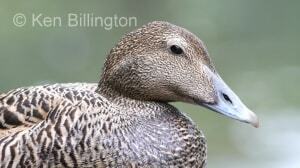 Their breeding habitat is shallow fresh waters, and they are also found in brackish and saline lakes in winter. Charadrius peronii is a breeding resident in Vietnam, Cambodia (rare), Peninsular Thailand , Peninsular Malaysia, East Malaysia, Singapore, Brunei, Philippines and Indonesia, Sumatra, Borneo and Bali, Java, Lesser Sundas and the Sulawesi sub-region) The global population is thought to number 10,000-25,000 individuals.This species is classified as Near Threatened because it is likely to have a small to moderately small population which, owing to the development pressures on the coastal areas it inhabits, is likely to be undergoing a decline, although there is insufficient information available on its sub-population structure. This species is listed as Near Threatened because it occupies a moderately small, fragmented range, and is likely to be experiencing a continuing decline owing to a number of emerging threats associated with human population increase. However, little is currently known about the population size and specific threats to this species. Monitoring is required. An increasing human population has led to increased illegal encroachment into Western Ghat forests, livestock grazing and the harvesting of fuelwood, notably for tea factories (J. Taylor in litt. 2011) and huge quantities of forest products such as bamboo and canes. Furthermore, hydroelectric power development and road-building are causing reductions in forest cover in some areas which may impact this species. 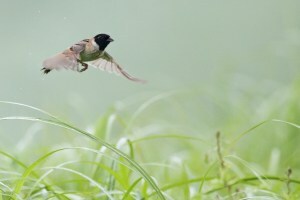 The Japanese Reed Bunting (aka Ochre-rumped Bunting) is one of three "reed buntings" that occur in Japan. It is, however, the most distinctive and colorful of the three species, and also the most restricted in range and habitat. This species only breeds in a few locations in Japan, Korea, northeast China and southeast Russia. 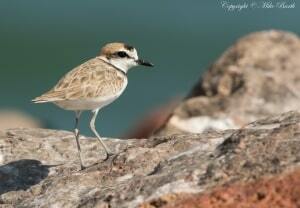 It is classified as Near Threatened (NT) due to continued habitat loss, particularly on the Asian mainland. 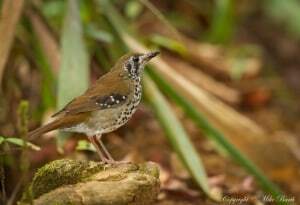 This species occurs in Pakistan, India, Nepal, Sri Lanka, Bangladesh (local resident in northern and coastal regions), Myanmar, Thailand, Laos , Vietnam, Cambodia, Peninsular Malaysia, Malaysian Borneo, Singapore, Brunei, Indonesia, Java and Sulawesi. This species is classified as Near Threatened because its population is suspected to be in moderately rapid decline owing to pollution, drainage, hunting and the collection of eggs and nestlings. 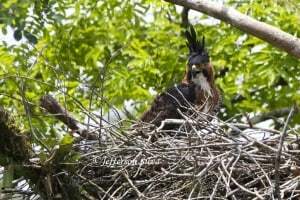 The Ornate Hawk-eagle is a bird from the Acciptridae family.It is found from south Mexico to Argentina. A very beautiful bird of prey. This species has been uplisted to Near Threatened as it almost meets the requirements for listing as threatened under criteria A2ab+3b+4ab. It has an extremely large range and population size, and the largest flyway population increased strongly between the 1960s and 1990s but subsequently declined moderately rapidly. The recent decline may be part of a longer-term fluctuation and the population should be monitored carefully to ascertain whether it shows signs of stabilising. 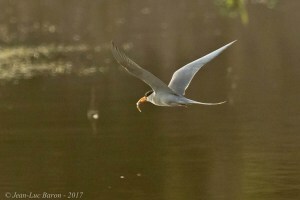 None of the remaining flyway populations have increased. Should new information suggest declines are continuing or that actions to benefit the species, such as limiting mechanical shellfishery operations, are not leading to population recoveries, the species would merit uplisting to a higher threat category. 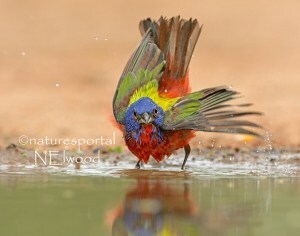 The male Painted Bunting has been described as one of North Americas most colorful songbirds. 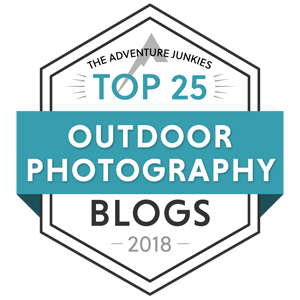 The Painted Bunting has two distinct breeding populations, one found along the Atlantic Coast from North Carolina south to central Florida, and the other from Louisiana, Arkansas, Oklahoma, and Texas, southward into northern Mexico. They prefer somewhat open areas with dense brush to live. Their diet consists mostly of seeds and insects. 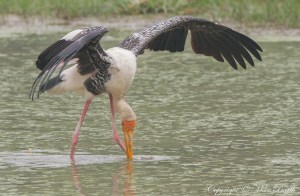 Although one of the most abundant of the Asian storks, this species is classified as Near Threatened because it is thought to be undergoing a moderately rapid population decline owing primarily to hunting, wetland drainage and pollution. 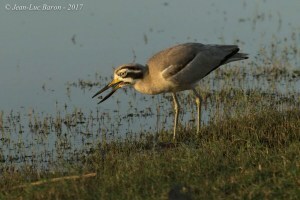 The increasing impacts of habitat loss, disturbance, pollution, wetland drainage and the hunting of adults and collection of eggs and nestlings from colonies are cause for concern. Hybridisation between free-flying Painted Storks and Milky Storks M. cinerea at Singapore Zoo has apparently produced reproductively viable offspring, raising the question of whether these hybrids could pose a threat if they crossed over into mainland South-East Asia (Yong D. L. in litt. 2011), or if the rare interbreeding of these species observed in the wild (J. C. Eames in litt. 2011) could also be a threat. This species is known to be undergoing steep population decline in Europe, although numbers in its Asiatic strongholds are thought to be more stable. Thus it is probably experiencing a moderately rapid population decline overall, and consequently it is categorised as Near Threatened. This species is classified as Near Threatened because it is suspected to be undergoing a moderately rapid population decline owing to habitat loss. Phlogophilus harterti is restricted to the Andean foothills of central and south-east Peru (south Huánuco, Pasco, Cuzco and Puno). 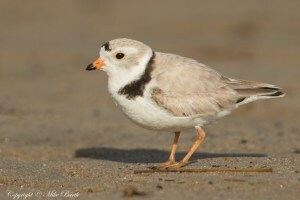 Charadrius melodus breeds in the U.S.A. and Canada. 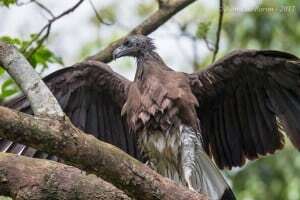 This species has a small population which has declined significantly since the 1950s. However, there have been overall population increases since 1991 as a result of intensive conservation management, so the species is listed as Near Threatened. It is still dependent on intensive conservation efforts, so if these cease, or if trends reverse, then it would warrant immediate uplisting again. Andigena laminirostris occurs along the west Andean slope from Nariño, south of the Patía valley, south-west Colombia, to the río Chanchan in west Ecuador (Fjeldså and Krabbe 1990), where it is relatively common. This species is suspected to be declining moderately rapidly within its small range which is decreasing in size owing to habitat loss. However, the range is not yet severely fragmented or restricted to few locations. For these reasons, the species is classified as Near Threatened. 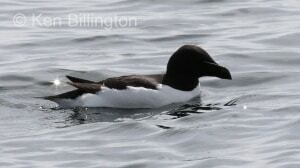 The Razorbill (Alca torda), a large auk, is the only living member of the genus Alca. Their breeding habitat is islands, rocky shores and cliffs on northern Atlantic coasts, in eastern North America as far south as Maine, and in western Europe from northwestern Russia to northern France. North American birds migrate offshore and south, ranging from the Grand Banks of Newfoundland to New England. 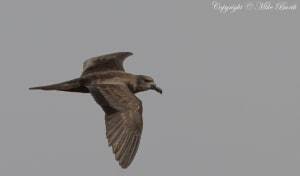 Eurasian birds also winter at sea, with some moving south as far as the western Mediterranean. 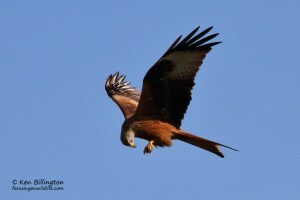 The Red Kite (Milvus milvus) is a medium-large bird of prey in the family Accipitridae, which also includes many other diurnal raptors such as eagles, buzzards and harriers. 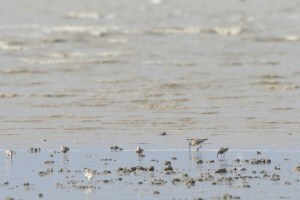 The species is currently endemic to the Western Palearctic region in Europe and northwest Africa, though formerly also occurred just outside in northern Iran. 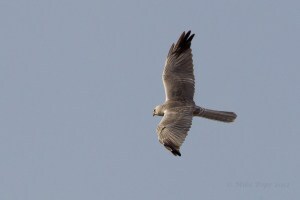 It is a rare species which is resident in the milder parts of its range in western Europe and northwest Africa, but birds from northeastern and central Europe winter further south and west, reaching south to Turkey. Vagrants have reached north to Finland and south to Israel and Libya. Psittacula alexandri occurs in South and South-East Asia, from northern and eastern India, Nepal, Bhutan and Bangladesh, Myanmar, Thailand, Laos, Cambodia, Vietnam, China, Indonesia, Java, Bali Karimunjawa, Kangean, Simeulue, Nias and Banyak, and in Kalimantan. It is listed as Near Threatened because it is suspected to be undergoing a moderately rapid population decline owing to on-going trapping pressure, persecution and habitat loss. 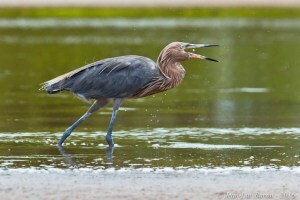 Egretta rufescens occurs in Baja California and disperses south along the Pacific coast of Mexico, but the majority are found in the Caribbean along the southern coast of the USA, through the Caribbean islands and down the Central American coast to northern Colombia and Venezuela. This species occurs across a wide range in southern and south-east Asia, being found in Pakistan, India, Nepal, Bhutan, Bangladesh, Myanmar, Thailand, Laos, Cambodia, Vietnam and southern China. This species has been uplisted to Near Threatened on the basis that increasing human disturbance and dam construction projects are expected to drive a moderately rapid population decline over the next three generations. 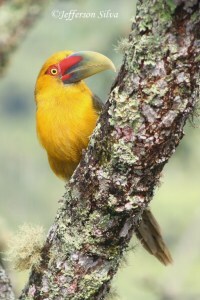 The Saffron Toucanet species is a bird from the Ramphastidae family. 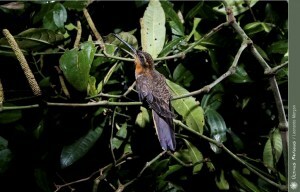 The Saw-billed Hermit (Ramphodon naevius) is a hummingbird from southeastern Brazil. 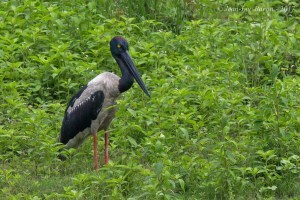 It is around 14–16 cm long and is one of the heaviest of the hermits; its straight bill has a hooked tip. It lives in humid forests, where it aggressively defends feeding routes from individuals of its own species as well as other hummingbirds. 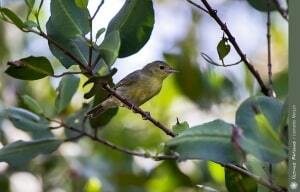 It is currently considered near-threatened, since it has a restricted range in threatened Atlantic forests. 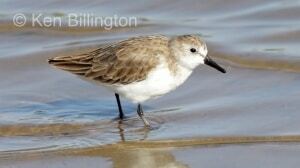 The Semipalmated Sandpiper, Calidris pusilla, is a very small shorebird. 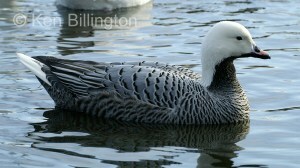 Their breeding habitat is the southern tundra in Canada and Alaska near water. 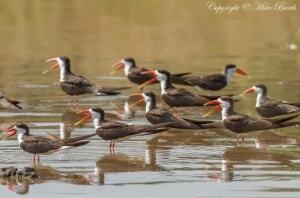 They are long distance migrants and winter in coastal South America with some going to the southern United States. 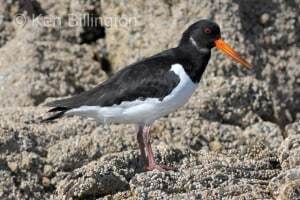 They migrate in flocks which can number in the hundreds of thousands, particularly in favoured feeding locations such as the Bay of Fundy and Delaware Bay. 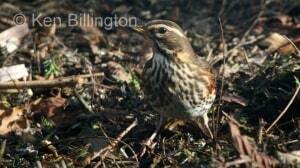 This species is a rare but regular vagrant to western Europe. The Serra do Mar Tyrannulet is a tiny bird from the Rhynchocyclidae. It's found only in Brazil, in the Atlantic Rainforest biome. This species breeds on just three islands. It may be susceptible to stochastic events and human activities, although one nesting site is moderately widely separated from the other two. For this reason it is treated as Near Threatened.During the breeding season, adults are relatively sedentary and are concentrated around Tasmania and southern Australia. 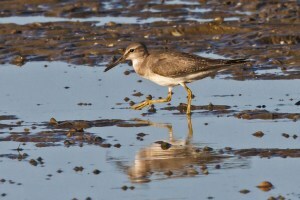 However, juvenile birds from Mewstone (Tasmania) are known to migrate to South Africa). This species has classified as Near Threatened because it is suspected to have a moderately small, declining population. Detailed surveys and robust monitoring are much desired, and would lead to a clarification of its status. 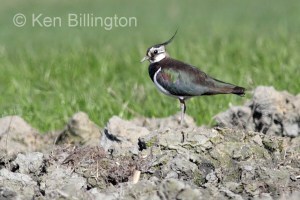 Most of its breeding colonies are inaccessible or in protected areas so it would appear to be declining due to pressures in wintering grounds or on migration. Still, human disturbance may be a factor in some areas, including Bahrain's Hawar Islands (Kavanagh and King 2008, McGrady and Nicoll 2008). 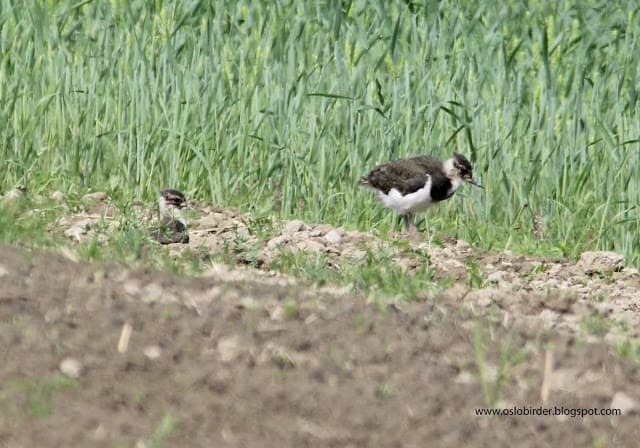 Increased pesticide use has been suggested as a causal factor, but egg analysis indicates that it is at very low concentrations in these birds. 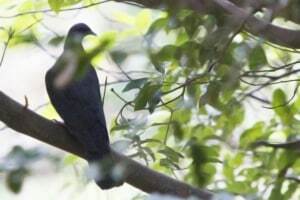 This species is listed as Near Threatened because forest cover has declined steadily to the point that the area of available suitable habitat within its range is now moderately small and fragmented. Ongoing declines are suspected as, despite a moratorium imposed on clearing forest within Sri Lanka's wet zone, habitat loss continues. 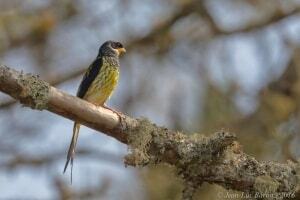 Phibalura flavirostris is found in south-east Brazil, north-east Argentina and east Paraguay. The population is preliminarily estimated to number at least 10,000 individuals, roughly equating to 6,700 mature individuals. This requires confirmation. The moderately small population is suspected to be declining moderately rapidly owing to habitat loss. It is consequently classified as Near Threatened. Lophura swinhoii is endemic to the mountains of central Taiwan (China). 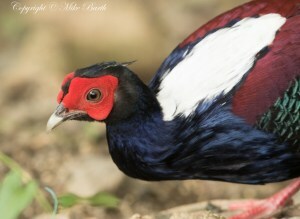 This pheasant has a small population, of unknown sub-population structure, occupying a small range, which is not severely fragmented, but is contracting owing to habitat degradation. It is probably secure within protected areas, but these are likely to become isolated in the long term owing to habitat loss outside their boundaries. This combination of factors qualifies this species as Near Threatened. 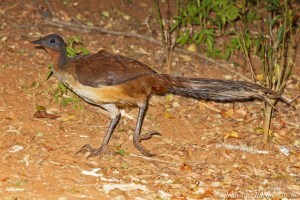 Patagioenas leucocephala is found primarily in the Bahamas, Cuba, Jamaica and Antigua. This species is classified as Near Threatened because although it has quite a wide range, it is restricted to low-lying areas where deforestation and habitat degradation are most intense. Together with hunting pressure, this is thought to be causing a moderately rapid population reduction. Based on a model of future deforestation in the Amazon basin, it is suspected that the population of this species will decline by 25-30% over the next three generations, and it has therefore been uplisted to Near Threatened. 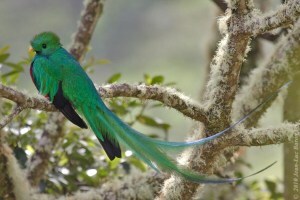 Discosura popelairii is a generally rare species of north-west South America including Colombia and Ecuador. 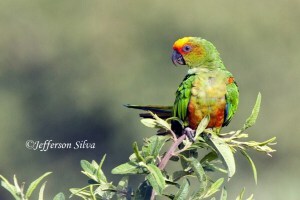 This is a species from the Psittacidae family. 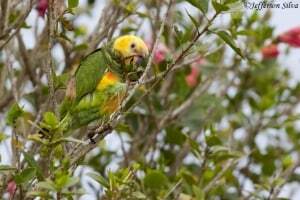 It's a bird classified as Near Threatened (NT) by IUCN.The Yellow-faced Parrot, formerly know as Yellow-faced Amazon, is the only species of the genus Alipiopsitta.It can be found on Brazil and Bolivia. Crypterellus noctivagus is rare to locally common in the caatinga and Atlantic forests of east Brazil. The nominate race occurs from south Bahia to Rio Grande do Sul, with an apparent stronghold in south São Paulo and east Paran. This species is classified as Near Threatened as population declines are believed to approach the threshold for qualification as Vulnerable.